Many of us in the industry were expecting today to be the big moment in Google's games business, but that isn't what we got by any stretch. The tech and software giant's hour-long keynote event this morning was a spec demo, with Google showing off all manner of features that are coming to its Stadia platform. There's some impressive streaming tech on display, with Google clearly having some massive ambitions for the platform. Last year's Project Stream demo with Assassin's Creed Odyssey broadcast game footage to users at 1080p resolution; on launch, Google promises that Stadia will stream 4k gameplay at 60fps, a figure that will scale to 8K in the future. 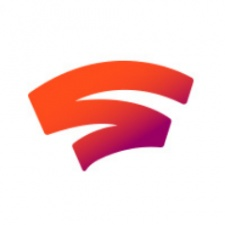 There was some interesting integration with Google's other services, such as a share button that appears on the Stadia controller. This isn't quite the massive innovation that Xbox and Sony vet Phil Harrison seemed to think it was - the PlayStation 4 has had identical functionality since 2013. Further integration with YouTube with its Crowd Play allowing users to play with personalities is cool, but something that Microsoft is already doing with Mixer via its Mix Play functionality. Being able to stream gameplay to any and all devices is also very cool, with Google seemingly having jumped straight to the 'platform not consoles' mentality that Microsoft has adopted since mid-way through the Xbox One's console cycle. Having the ability to jump into a game in just five seconds by clicking on a link is also very interesting, removing the friction that the online-focus of the industry has introduced in endless downloads and patches. Using Google's own network infrastructure is interesting, too, with users able to have direct connection with the data centres its games are being hosted at. This means that consumers aren't relying on public internet alone, again meaning that some of the Big G's ambitions don't seem that mad after all. But some massive questions remain over the future of Google Stadia. What are the minimum internet requirements for the tech? The firm says that it'll be using its own network, but people are still limited by data caps and poor connections. How much is this going to cost? How are developers going to make money? Is this going to be a Netflix-style license purchase or a Spotify equity or pay-per-play model? Google said that the internet is our store for getting access to games, but is there any kind of centralised storefront or marketplace that developers can use? Having users be able to click on a link anywhere and instantly access a game is one hell of an innovation, but what are Google's revenue share terms going to be? For me, the most worrying thing about Stadia is the fact that it is launching this year and we have little to no idea what is coming to it - or what Google's Stadia Games and Entertainment first-party studio is working on, or who it has hired. EA and Ubisoft vet Jade Raymond is heading this up, but this appears to be a relatively recent addition. Conventional wisdom suggests that new platforms new exclusive content from the get-go - both first and second-party - to entice people to come to your ecosystem. Maybe Google disagrees. In terms of third-party studios, we have an idea of who Google is working with. Ubisoft was part of the Project Stream demo, so they're a dead cert, while Id Software was on-stage discussing bringing Doom Eternal to Stadia. This is a pretty smart move given that this studio is known for trying to get the most out of hardware, which is a nice indication from Google that its platform can accommodate an awful lot. Rise of the Tomb Raider and NBA 2K were shown off at various points, too, suggesting that Square Enix and 2K Games are on board, too. 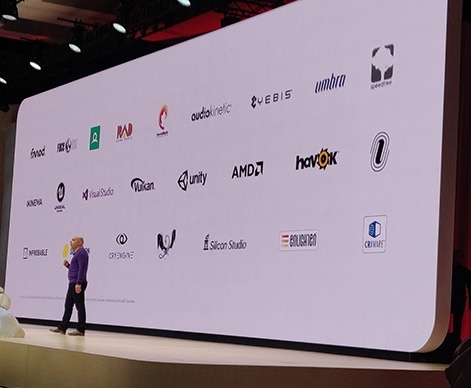 Unity and Unreal engines are supporting Stadia, which opens the platform up to a huge number of developers, just two of the tech partners that Google announced (above). And this is the where I feel that Google's announcement event fell down. The tech firm opened by saying it wanted to make a games platform for everyone, but we actually have no idea what games are coming to the platform nor how much it will cost to access. These are some basic questions. Having a studio like Id is cool - Google needs a developer that pushes the hardware. Meanwhile, Ubisoft and 2K have a wide variety of content between them, from blockbuster shooters to pick-up-and-play sports games. It's possible that in announcing Stadia at GDC that Google felt that leading with the technical stuff was the smart move. Despite being broadcast around the world, the audience in the room is primarily going to be people involved in the making of games. If that's the case, then Google missed the mark in not realising that developers care about the business aspects of the industry, as well. They care about knowing who their audience is going to be and how they're going to make money from Stadia. Google promised that all would be revealed, but much of what was announced was either public knowledge or poorly kept secrets. Maybe at the next event, all will actually be revealed.